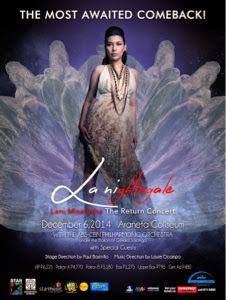 The Asia's Nightingale, Lani Misalucha is back in town! It's been a long while since Misalucha had a concert at the Big Dome. "I've missed performing for the Filipino audience," said Misalucha during a Skype interview. 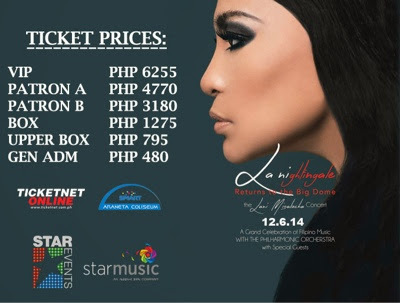 As a gift to her fans, Misalucha will be having another concert called La Nightingale to be held on December 6, 2014 at the Smart Araneta Coliseum. "The concept is very exciting. Since not everyone can't see me perform in Las Vegas (where Misalucha had been based for so many years), we might as well bring some kind of what I've done in Las Vegas here as a treat to all the Filipinos who will come and watch the show," Misalucha enthuses. "Of course, I will still be doing some of the songs which had made me who I am today, you know some of the most requested songs of mine, but I'm gonna be doing something different. 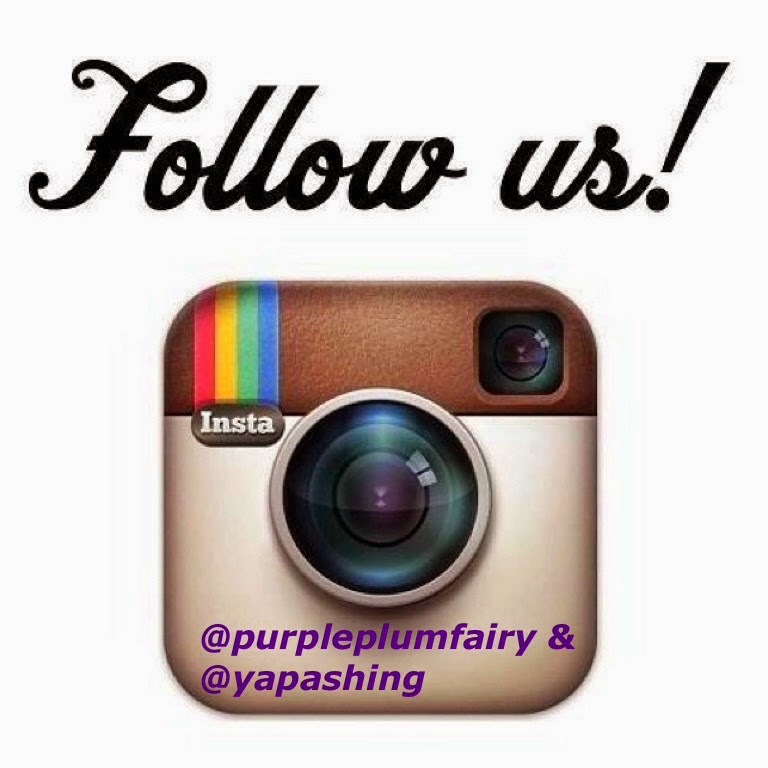 It will be another night ti remember because it promises to be lots of fun." 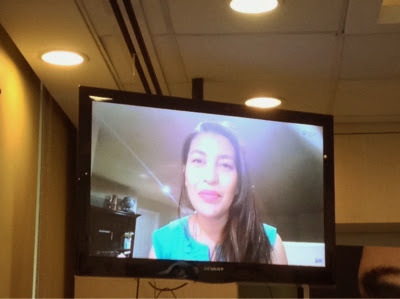 Ms. Lani Misalucha during the Skype interview we've had with her. Misalucha considered it a blessing when her concert which was supposedly staged a few months ago were moved at a later date, andn ow scheduled on December 6. "I liked that it was moved although I know some of my fans got a bit disappointed about it. But I consider it as a blessing in disguise. I know it was moved on purpose and for a special reason. It had given everyone a chance to make things better, performance wise." Lani Misalucha is one of the few artists who had never forgotten where she came from and has managed to keep her feet on the ground despite fame and international recognition. "When I'm at home in the US, I'm just plain Lani. But my kids knew that when I'm onstage, I transform into another persona. I get to be Lani the singer or concert performer. But once the spotlight went off, I'm back to being me," Lani said. "I'm very excited to be back home. I'm so glad to be given another chance to perform for the Pinoy audience. I love performing for the Pinoy audience. They're very different. And it feels good to know that they appreciate every number you do. My upcoming concert La Nightingale would be something very visual too,"says Lani. Misalucha will be performing along with The Abs-Cbn Philharmonic Orchestra under the baton of its Conductor Gerard Salonga. She will be having very special guests. "I'd be doing a lot of firsts here. I'm also thankful that my special guests such as The G-Force headed by Georchelle will be giving my concert the Las Vegas touch." "I'm inviting everybody to please come and watch my concert, La Nightingale at the Smart Araneta Coliseum on December 6. It will be experiencing the wonders of Vegas in Manila. 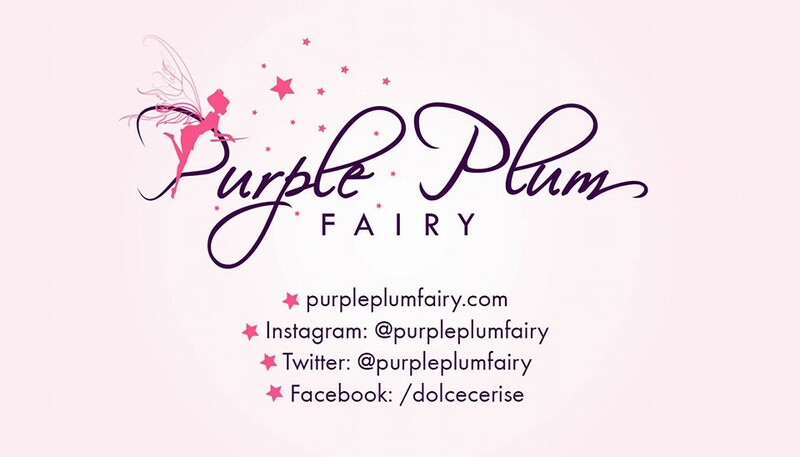 It will really be a great show and we're doing pur best to give you one spectacular show that you shouldn't fail to miss!" Save the date: December 6 and Get your tickets for La Nightingale Concert of Lani Misalucha at all Ticketnet outlets nationwide.